"Wine Spectator" has rated the wine "St. Michael-Eppan San Michele Appiano Schulthauser Weissburgunder - Pinot Bianco Sudtirol - Alto Adige, Trentino-Alto Adige, Italy" from the vintage 2015 on 31.10.2016 with 89 of 100 points. "Vinous Antonio Galloni" has rated the wine "St. Michael-Eppan San Michele Appiano Schulthauser Weissburgunder - Pinot Bianco Sudtirol - Alto Adige, Trentino-Alto Adige, Italy" from the vintage 2014 on 01.05.2016 with 87 of 100 points. "Vinous Antonio Galloni" has rated the wine "St. Michael-Eppan San Michele Appiano Schulthauser Weissburgunder - Pinot Bianco Sudtirol - Alto Adige, Trentino-Alto Adige, Italy" from the vintage 2013 on 01.05.2015 with 89 of 100 points. "Wine Spectator" has rated the wine "St. Michael-Eppan San Michele Appiano Schulthauser Weissburgunder - Pinot Bianco Sudtirol - Alto Adige, Trentino-Alto Adige, Italy" from the vintage 2013 on 28.02.2015 with 90 of 100 points. "Wine Enthusiast" has rated the wine "St. Michael-Eppan San Michele Appiano Schulthauser Weissburgunder - Pinot Bianco Sudtirol - Alto Adige, Trentino-Alto Adige, Italy" from the vintage 2012 on 08.01.2014 with 90 of 100 points. "Vinous Antonio Galloni" has rated the wine "St. Michael-Eppan San Michele Appiano Schulthauser Weissburgunder - Pinot Bianco Sudtirol - Alto Adige, Trentino-Alto Adige, Italy" from the vintage 2011 on 01.05.2013 with 90 of 100 points. "Luca Gardini" has rated the wine "St. Michael-Eppan San Michele Appiano Schulthauser Weissburgunder - Pinot Bianco Sudtirol - Alto Adige, Trentino-Alto Adige, Italy" from the vintage 2011 on 02.11.2012 with 88 of 100 points. "Vinum Wine Magazine" has rated the wine "St. Michael-Eppan San Michele Appiano Schulthauser Weissburgunder - Pinot Bianco Sudtirol - Alto Adige, Trentino-Alto Adige, Italy" from the vintage 2011 on 01.09.2012 with 15 of 20 points. "Wine Spectator" has rated the wine "St. Michael-Eppan San Michele Appiano Schulthauser Weissburgunder - Pinot Bianco Sudtirol - Alto Adige, Trentino-Alto Adige, Italy" from the vintage 2010 on 31.08.2011 with 89 of 100 points. "Vinous Antonio Galloni" has rated the wine "St. Michael-Eppan San Michele Appiano Schulthauser Weissburgunder - Pinot Bianco Sudtirol - Alto Adige, Trentino-Alto Adige, Italy" from the vintage 2008 on 01.10.2009 with 91 of 100 points. "Wine Spectator" has rated the wine "St. Michael-Eppan San Michele Appiano Schulthauser Weissburgunder - Pinot Bianco Sudtirol - Alto Adige, Trentino-Alto Adige, Italy" from the vintage 2007 on 31.08.2008 with 88 of 100 points. "Vinous Antonio Galloni" has rated the wine "St. Michael-Eppan San Michele Appiano Schulthauser Weissburgunder - Pinot Bianco Sudtirol - Alto Adige, Trentino-Alto Adige, Italy" from the vintage 2007 on 01.08.2008 with 89 of 100 points. "Wine Spectator" has rated the wine "St. Michael-Eppan San Michele Appiano Schulthauser Weissburgunder - Pinot Bianco Sudtirol - Alto Adige, Trentino-Alto Adige, Italy" from the vintage 2006 on 15.11.2007 with 88 of 100 points. "Wine Spectator" has rated the wine "St. Michael-Eppan San Michele Appiano Schulthauser Weissburgunder - Pinot Bianco Sudtirol - Alto Adige, Trentino-Alto Adige, Italy" from the vintage 2005 on 30.11.2006 with 88 of 100 points. "Wine Spectator" has rated the wine "St. Michael-Eppan San Michele Appiano Schulthauser Weissburgunder - Pinot Bianco Sudtirol - Alto Adige, Trentino-Alto Adige, Italy" from the vintage 2003 on 31.03.2005 with 86 of 100 points. 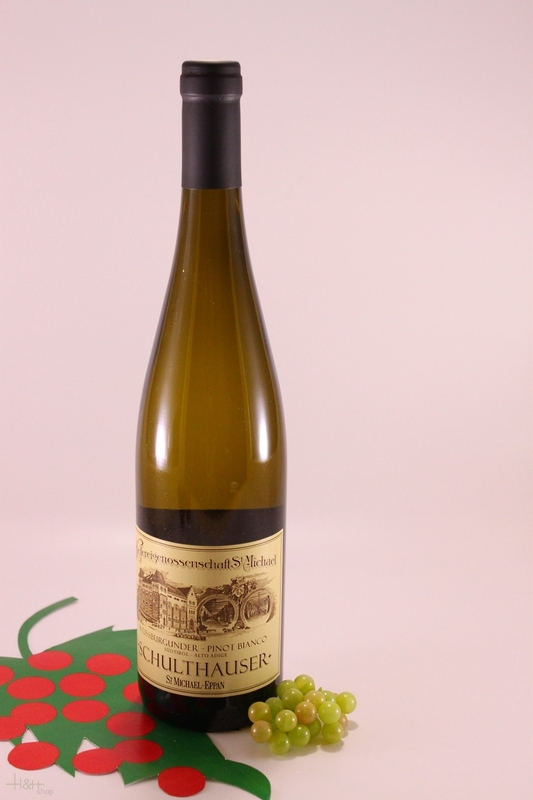 "Stephen Tanzer" has rated the wine "St. Michael-Eppan San Michele Appiano Schulthauser Weissburgunder - Pinot Bianco Sudtirol - Alto Adige, Trentino-Alto Adige, Italy" from the vintage 2006 with 89 of 100 points. 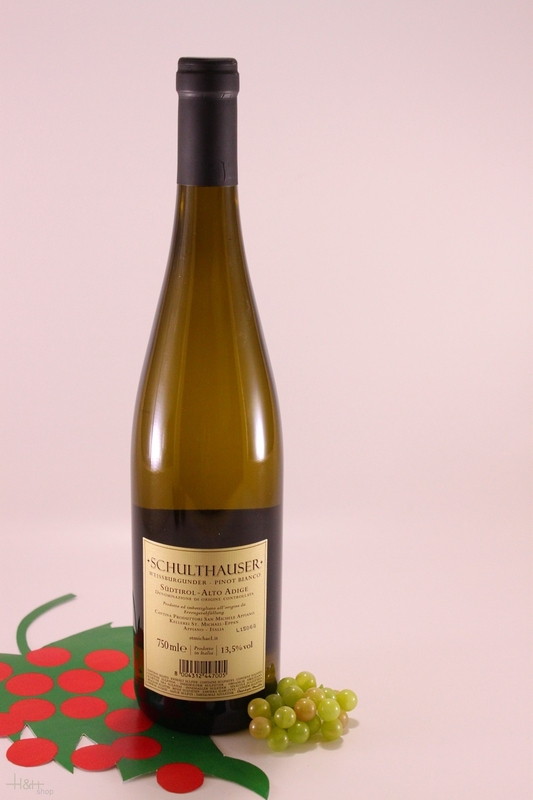 "Stephen Tanzer" has rated the wine "St. Michael-Eppan San Michele Appiano Schulthauser Weissburgunder - Pinot Bianco Sudtirol - Alto Adige, Trentino-Alto Adige, Italy" from the vintage 2003 with 88 of 100 points.